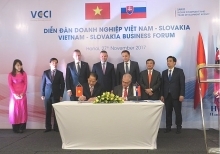 (VEN) - At a recent Czech-Vietnam Business Forum in Hanoi, Czech Deputy Minister of Industry and Trade Vladimir Bartl affirmed that Vietnam is one of the most important trading partners of the Czech Republic in Asia and the ASEAN region, and that the Czech Republic prioritizes Vietnam in its export strategy. According to Bartl, cooperative relations between Vietnam and the Czech Republic have been promoted for years and the number of mutual visits by high-ranking officials has increased. Economic cooperation between the two countries has progressed. However, bilateral trade remains unbalanced. Czech businesses want to cooperate with Vietnamese partners and participate in mechanical engineering, energy, cement and construction material production, medical and aviation equipment supply, and environmental treatment projects in Vietnam, Deputy Minister Vladimir Bartl said. Ta Hoang Linh, Director of the Ministry of Industry and Trade’s European and American Markets Department, said the Czech Republic is one of Vietnam’s largest trading partners in Eastern Europe. General Department of Vietnam Customs data show that bilateral trade reached US$257.9 million in 2017, higher compared with 2016, with the balance of trade tilting towards Vietnam. In the first two months of 2018, bilateral trade reached nearly US$50 million, 31 percent higher compared with the same period last year, including US$28.1 million worth of Vietnamese exports to the Czech Republic, up 17.1 percent, and US$21.6 million worth of imports from this market, up 55.7 percent. Major Vietnamese exports to the Czech Republic include footwear, textiles and garments, seafood, industrial machinery, machine spare parts and electrical devices. Vietnam imports Czech industrial and mechanical engineering equipment, energy, metallurgy and national defense products, transportation equipment, chemicals, food, glass and crystal. By the end of February 2018, the Czech Republic had 36 investment projects ongoing in Vietnam with total capital of US$90.07 million, ranking 49th among 126 countries and territories investing in Vietnam. The Czechs invest in Vietnam in the form of companies with 100 percent of foreign capital (25 projects with total investment of US$79.09 million) and joint ventures (10 projects with total investment of US$9.39 million). Vietnamese businesses have invested in the Czech Republic through four projects with total capital of US$4.44 million, mostly in the form of joint ventures. Major Vietnamese investment projects include a US$2.7 million real estate investment by the Omega Star Joint Stock Company, and a US$1 million real estate and construction material investment by the Constrexim Joint Stock Company. Doan Duy Khuong, Vice Chairman of the Vietnam Chamber of Commerce and Industry (VCCI), believes the two countries need to tighten bilateral relations and strive to balance bilateral trade. In his opinion, promoting multilateral relations is also important in the context of economic globalization. As an active member of ASEAN, a dynamic economic community with more than 600 million consumers, Vietnam offers a gateway for Czech businesses to access the vibrant Southeast Asian market, he said. Meanwhile, the Czech Republic, as a member of the EU, offers a gateway for Vietnamese goods to penetrate the EU market. 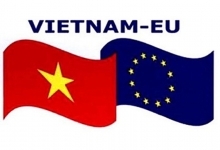 The EU-Vietnam Free Trade Agreement expected to be signed later this year is forecast to boost Vietnam’s trade with the EU, in general, and the Czech Republic, in particular. Doan Duy Khuong said the Czech-Vietnam Business Forum offered businesses of the two countries a chance to discuss the potential, advantages, demand and cooperation possibilities. 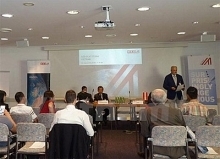 Businesses participating in the event established direct communication channels to further discussions in the future. 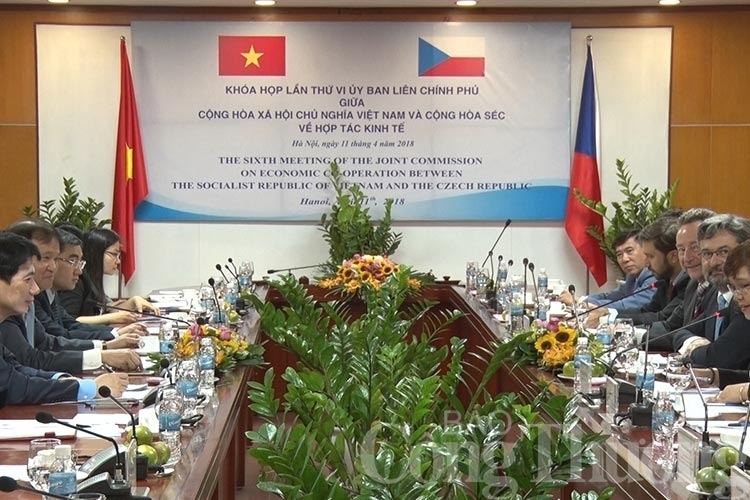 The sixth session of the Vietnam-Czech Intergovernmental Committee for Economic, Scientific and Technological Cooperation, chaired by Vietnamese Deputy Minister of Industry and Trade Do Thang Hai and his Czech counterpart Vladimir Bartl, took place in Hanoi recently. The two sides discussed directions for implementing cooperation agreements to create breakthroughs in bilateral relations, opening a new period of more effective cooperation in order to increase trade and investment. The Vietnamese and Czech economies are developing rapidly and integrating more deeply into the regional and global economies, creating favorable conditions for bilateral economic, trade and investment cooperation.